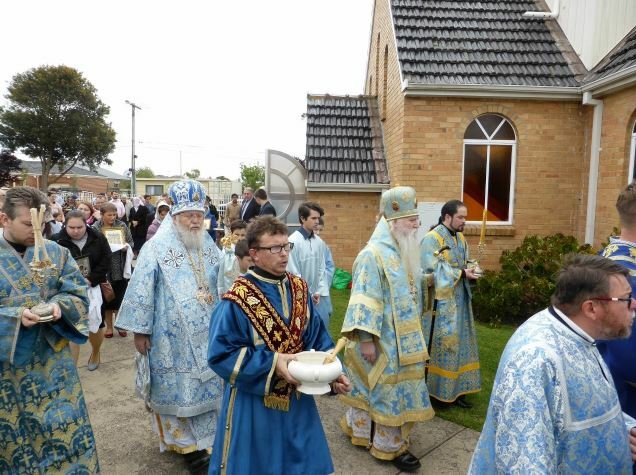 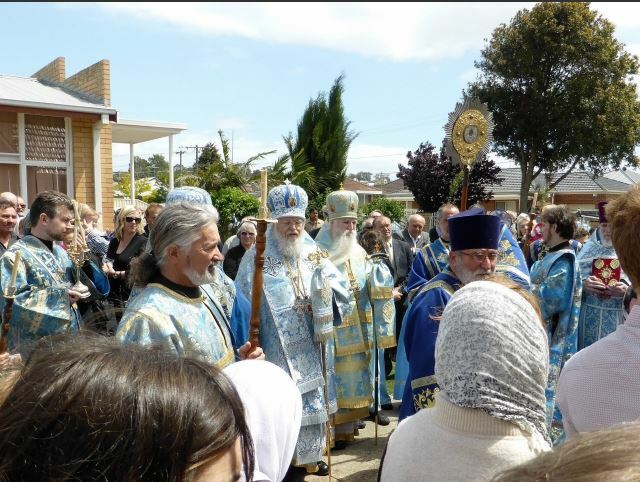 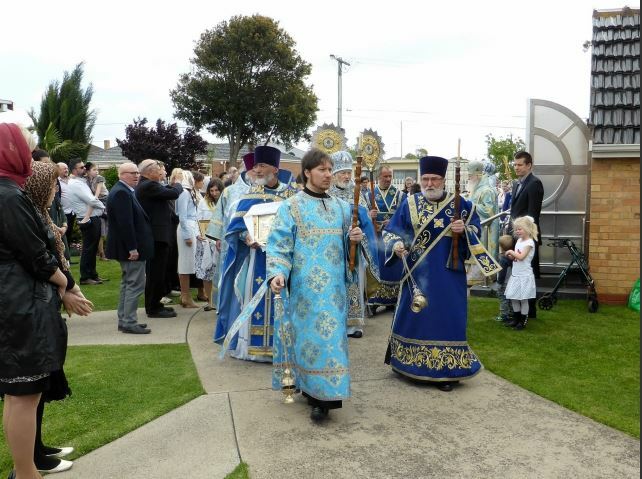 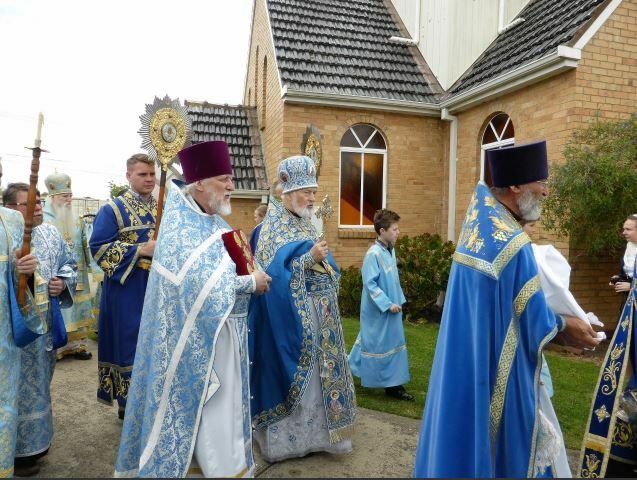 His Eminence Metropolitan Hilarion and His Grace Bishop George celebrate the feast Joy of All Who Sorrow in Geelong VIC. 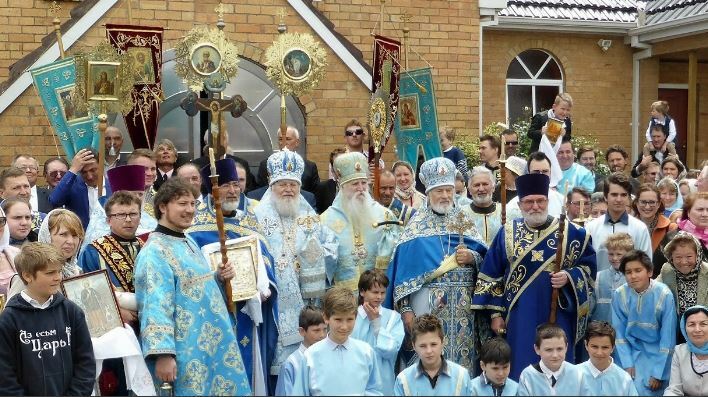 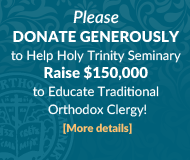 Concelebrating with the Hierarchs where, mitered Archpriest Michael Protopopov, the dean of Victoria, Archpriest Simeon Kichakov, rector of the parish and other neighboring clergy. 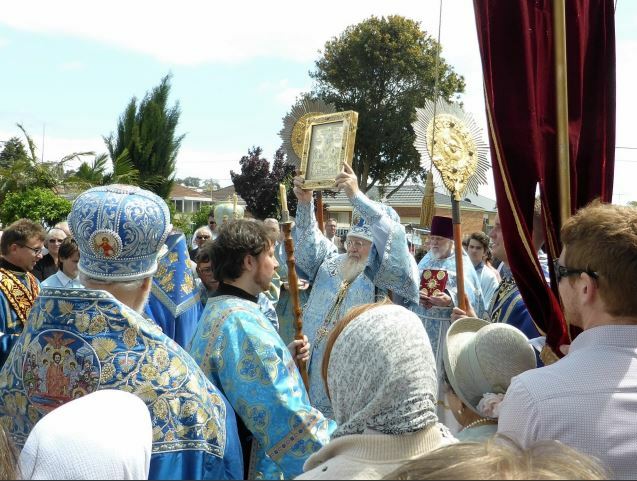 During the small entrance Fr. 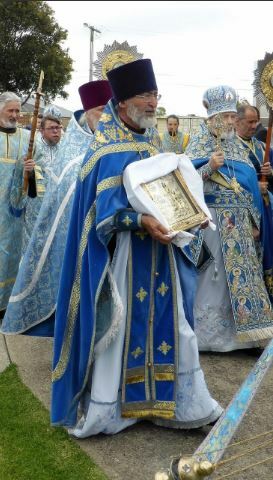 Simeon was awarded the ‘Palitsa’. 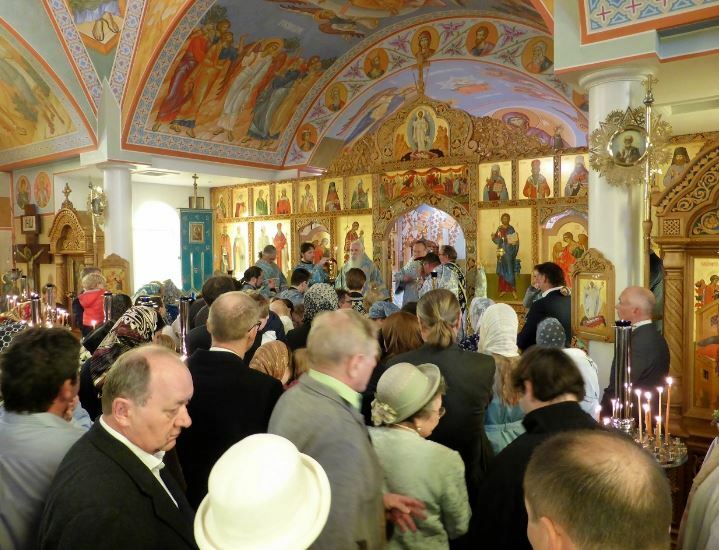 The church was full with faithful and the choir sung gracefully. 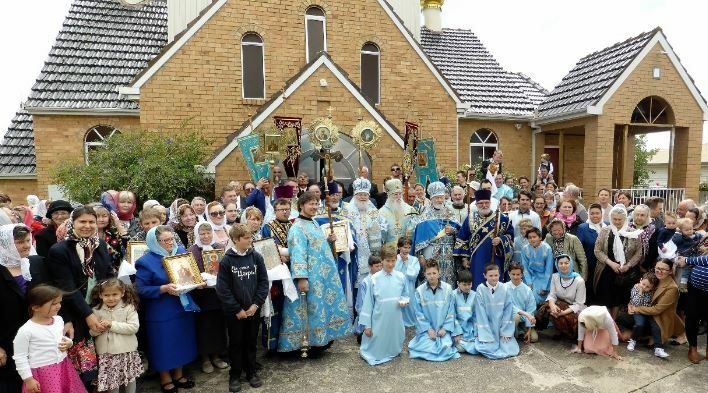 Following the Divine Liturgy the faithful enjoyed a festive lunch, hosted by the sisterhood.